Industrial histories and contemporary ruins collide in the photographic works of three photographers. 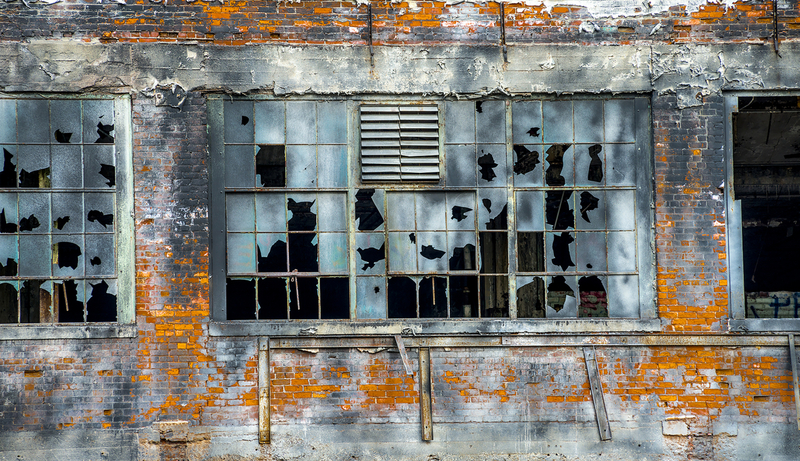 Jonah’s precise abstractions of manufacturing sites call attention to the unexpected beauty of decay. Drajewicz’s windows and doorways are portals into the imagination. Draz’s papercuts reconstruct photographic sources into assemblages of a fantastical cityscape interwoven with drawings. Visit their three facets of contemporary photography to find fresh perspectives.